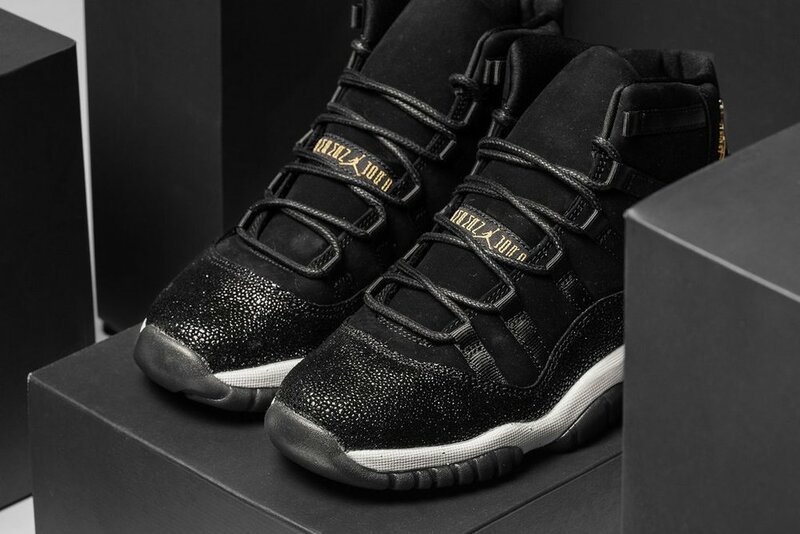 Jordan Brand presents a premium rendition to the iconic Retro 11 model. This iteration showcases the classic patent leather mudguard dawned in a unique stingray material, while the rest of the upper is constructed in a premium black nubuck. Nylon strap workings at the side panel construct the eyelets for a classic look. The upper sits atop a white midsole and black semi-translucent outsole. The model is finished off with a metallic gold Jumpman, bringing the “heiress” feel to the sneaker. Coming soon at selected retailers such as Feature.